The municipality of Lefkada (22,652 inhabitants in 2011; 33,580 ha) covers the island of Lefkada and the smaller islands of Kastos and Kalamos. 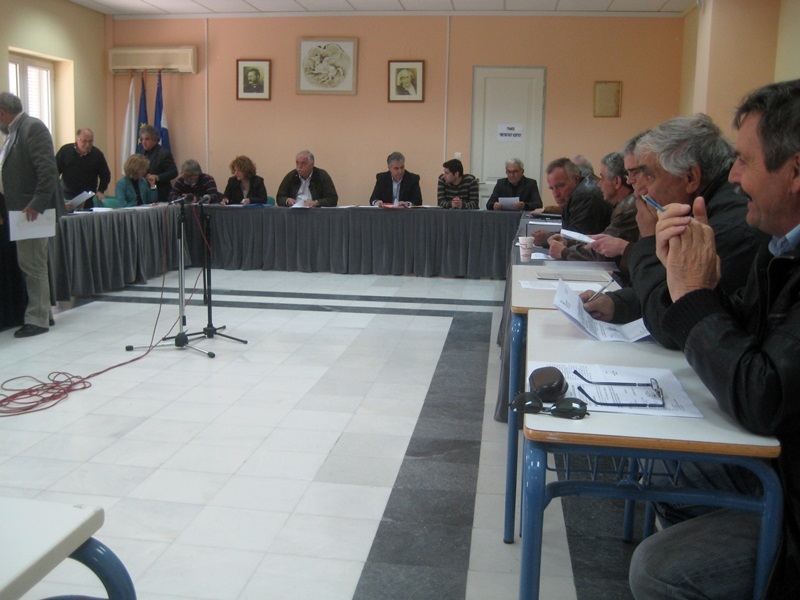 The municipality was formed in the 2011 local government reform by the merger of the former municipalities of Apollonioi (Απολλώνιοι, 3,235 inh. ), Ellomenos (Ελλομένος, 3,570 inh. ), Kalamos (Κάλαμος, 543 inh. ), Karya (Καρυά, 1,427 inh. ), Kastos (Καστός, 80 inh. ), Lefkada (13,947 inh. ), and Sfakiotes (Σφακιώτες, 1,377 inh.). The former municipality of Lefkada is the main town of the island, located in its northern and northeastern part. The German archaeologist Wilhelm Dörpfeld suggested that Lefkada was Homer's Ithaca, and that the palace of Odysseus was located west of Nydri on the south coast of Lefkada. In the 7th century BC, Lefkada was colonised by the Corinthians, who first excavated the channel to enable the passage north of their ships. The island's capital in those days, Nirikos, southeast of present-day Lefkada town, became the capital of the Akarnanian League from 272 to 197 BC. It took part in the Battle of Salamis, the Battle of Plataea and the Peloponnesian War, as allies of the Spartans. In 338 BC, it was conquered by Philip of Macedon. In 197 it fiercely resisted the Romans but was eventually vanquished. In 1204, the island was incorporated into the Despotate of Epirus. In 1331, the island was conquered by the Angevins. In 1357, the peasants of Lefkada rebelled against the Frank Gratiano Zorzi. From 1362 to 1479, the island passed into the hands of the Tocco family, and it was then conquered by the Ottomans (with a short-lived Venetian occupation in 1502-1503), who called it Ayamavra (a rendering of the Greek Αγία Μαύρα, Saint Maura), the island's medieval name). In 1684, the island came back to Venetian sovereignty with a brief interval of Turkish rule between 1715-1716. The islandÕs capital was transferred from Kastro to today's capital, previously named Amaxiki. In 1797, the Republican French took control of the island, before a Russo-Turkish occupation in 1798. From 1802, the island was part of the Republic of the Ionian Islands (Septinsular Republic). In 1807, it was conquered by the French Empire, and in 1810 rule by the British, who incorporated it the United States of the Ionian Islands. There was in 1819 a peasant uprising in Lefkada, and Lefkadians took part in the 1821 Greek War of Independence. In 1864, Lefkada was united with Greece, together with the other Ionian Islands. The flag of the former municipality of Lefkada (Kokkonis website) was white with the municipality emblem, an ancient coin of Lefkada (400-330 BC), and its name in Greek, Italian, and English, The new municipality uses the same emblem and a white flag (photo, photo), but it is impossible to say if something is written beneath the emblem. Ellomenos is located in the southeastern part of the Lefkada island/ The seat of the municipality was in the town of Nydri (Νυδρί, 1,394 inh.). The flag of Ellomenos (Kokkonis website) was blue with a wide burgundy red border, and the emblem of the municipality in the center. The emblem is made of a white outer ring, a burgundy red circle with the names of the municipality and of the nomos in which it was located : "ΔΗΜΟΣ ΕΛΛΟΜΕΝΟΥ / ΝΟΜΟΣ ΛΕΥΚΑΔΑΣ", and a central dark green circle with a light green disk in the center. On the light green disk is a portrait of Aristotelis Valaoritis (Αριστοτέλης Βαλαωρίτης, Lefkada, 1824 - Lefkada, 1879). A Greek poet and politician, Valaoritis wrote many poems regarding the Greek War of Independence. He was credited as a national poet. As a member of the Parliament of the United States of the Ionian Islands he fought for the rights of the Ionian islands. Once the Ionian islands were united with Greece he moved to Athens, as a member of the Greek Parliament. His speeches were heavily influenced by his poetic language, making his rhetorical skills remarkable. The last years of his life, he developed action towards the integration of Epirus to Greece.